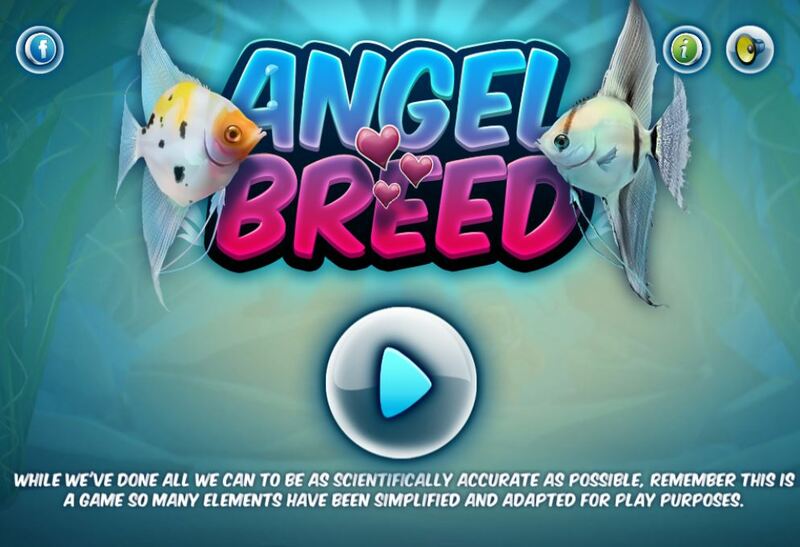 Angel Breed is a serious educational game developed for the Open University in association with Dr David Robinson (Department of Environment, Earth and Ecosystems, The Open University), Dr Mark Hirst (Department of Life Sciences, The Open University). 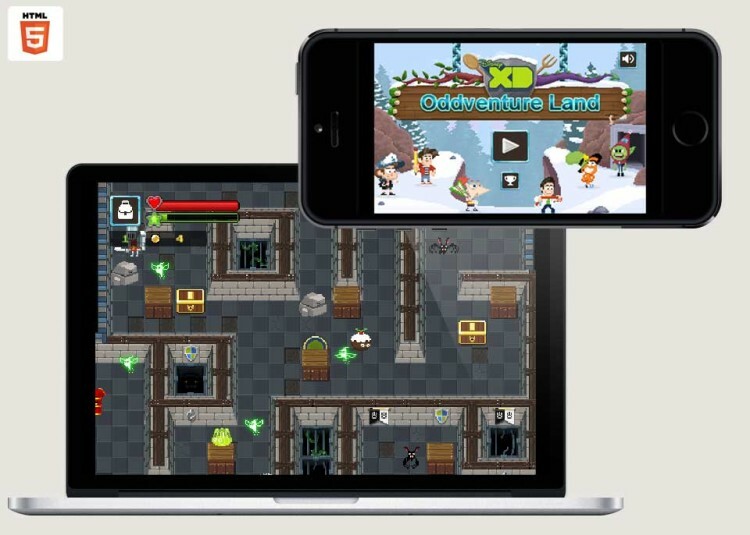 The game was designed to encourage an older gaming demographic to discover higher education courses and specifically genetics learning at the Open University. 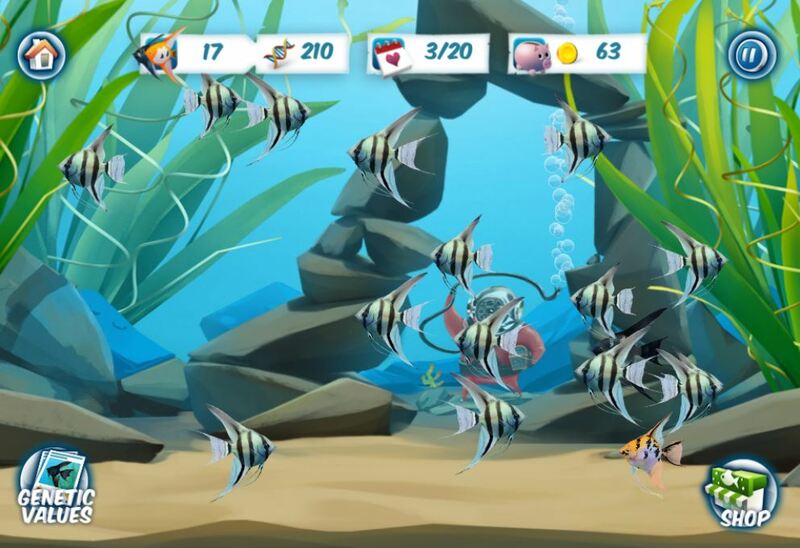 We chose to concentrate on fish breeding as a subject matter for the game because casual aquarium games already have a popular following on different platforms as well fish breeding being a popular pastime for aquarium owners and fish owners. Because Angel fish are so vibrantly coloured, there are clear visual rewards as well as achieving educational objectives which would broaden the appeal. 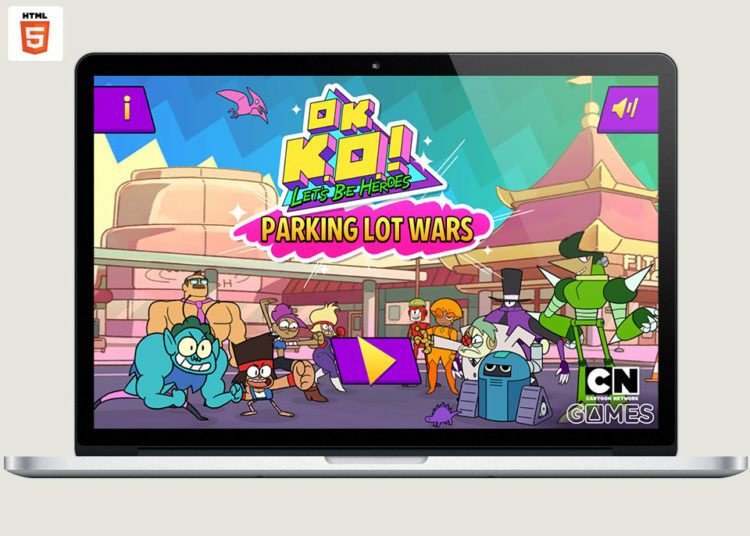 As with all educational serious games, the science within the game had to be verified and accurate. 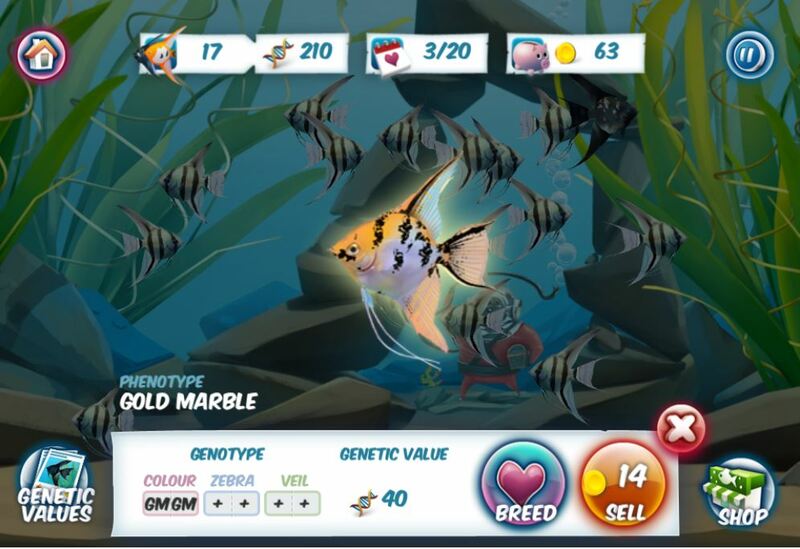 It features a huge variety of different Phenotypes of fish and allows you to understand the different genotypes that contribute to the appearance of the fish. 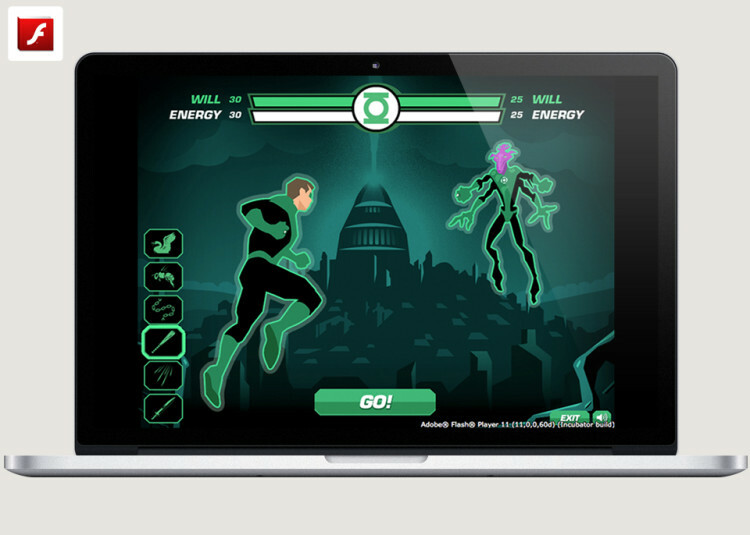 This kept our art team busy for quite some time to create all the different varieties. 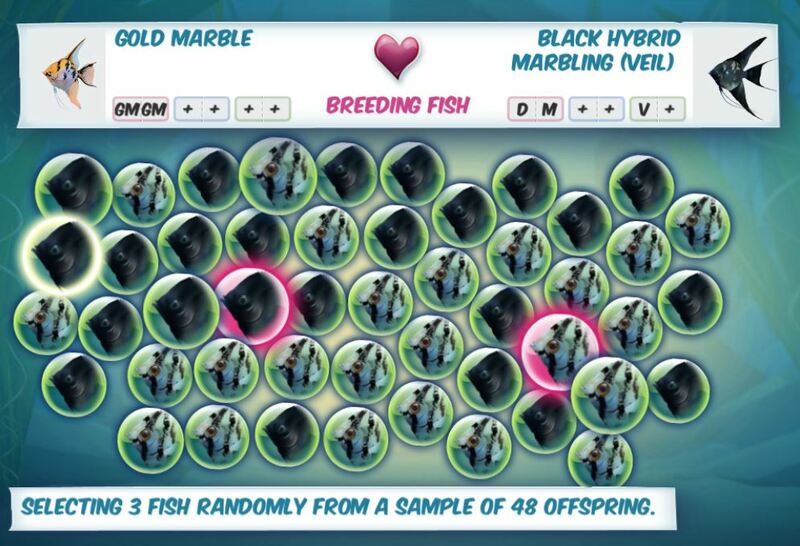 The purpose of the game is to breed as many ‘high-value’ fish as possible in a limited number of turns (breeding cycles). 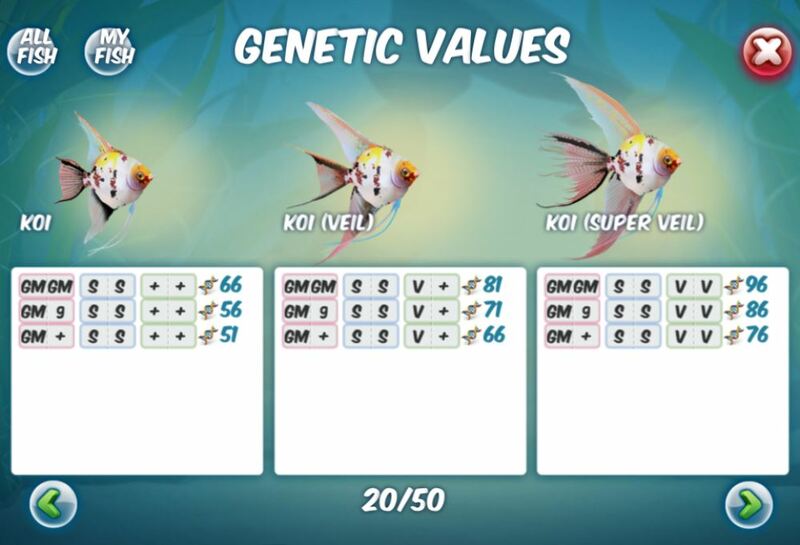 The genetic value chart was arbitrarily based upon the rarity of any given Phenotype which would allow the user to aim at breeding a certain type of fish. Random breeding will produce plenty of variety, but the true route to success is to understand the genetic breeding process that occurs, the dominance of various loci and alleles against others. 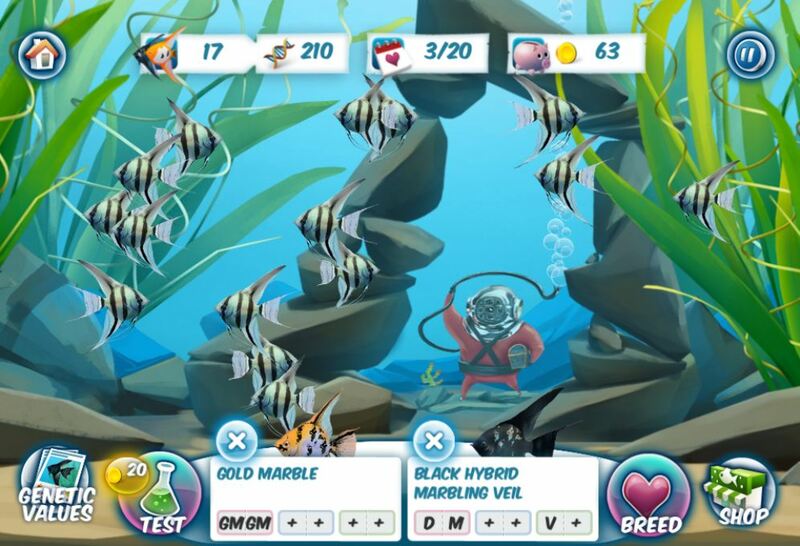 Fish with longer veils and fins were of greater rarity and therefore value and as the game proceeds you can buy different types of fish from the store to help your breeding targets. There are 150 different Phenotypes possible with the Dark Gold Marble Super Veil and the Sunset Blusher Super Veil (for all those aquarium fans out there) being having the greatest genetic value in our chart.